At Compose Your Own String Quartet, kids learned the elements of musical composition: melody, bassline, musical texture, and expression. 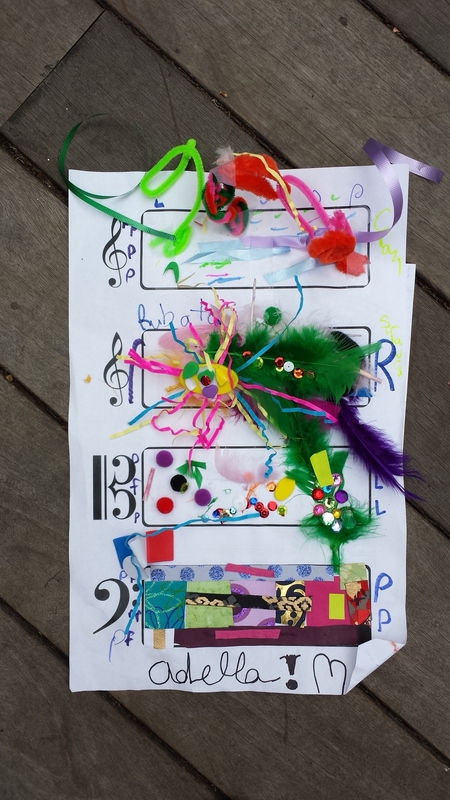 Using craft supplies, they created visual representations of what those parts of their string quartets would sound like. On the last day of camp, a Magik String Quartet came to read the brand-new scores and to help the children assemble new works of music they composed. 4 Magik teachers taught campers all about the art of composing string quartets, and on the final day of camp the Magik string quartet came to play their new compositions. CLICK HERE to see the Red and Yellow group's composition! CLICK HERE to see the Blue and Green group's composition!